Myakka fine sand landscape (image from USDA: State Soils). 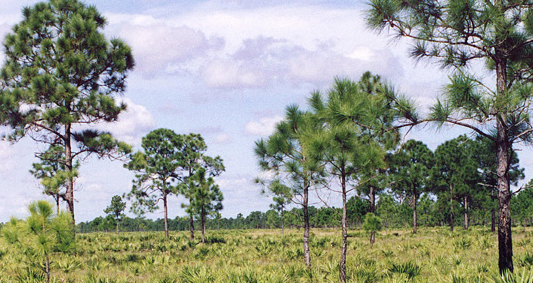 The State of Florida has the largest total acreage of Aquods (wet, sandy soils with an organic-stained subsoil layer) on flatwood landforms in the nation (occurring in more than 1.5 million acres). Soil conservation is very important in Florida (agriculture is a significant industry).